It was a very special night at the Palace of Auburn Hills Friday. The Bad Boys were reunited and honored at the halftime of the #Pistons vs. Heat game to commemorate the 25 year anniversary of their championship. I’ve been to some very special nights at the Palace, so it was nice to have that special feeling in that building again. Dennis Rodman didn’t make it, but when you get to even say Fennis Dembo, let alone see him in person it’s like your birthday and Christmas rolled up in one. 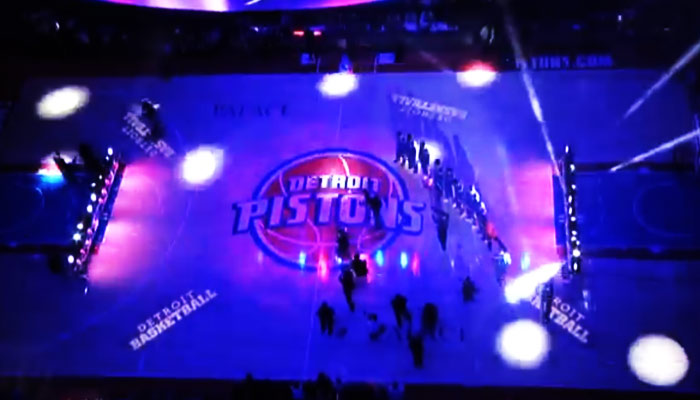 9 Responses to "The Detroit Pistons Bad Boys Reunite"
it’s wonderful to have a packed stadium. 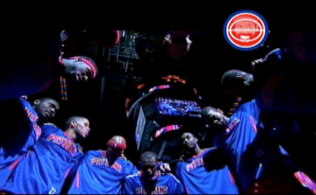 can’t wait until the pistons are good again, so it can be like this every night. I feel the same way. I was a bit late to the game and was actually stuck in stadium traffic for the first time in years. I hope the current team felt what it was like to be loved by a city so they can aspire to be winners like the Bad Boys. 76ers break their long losing streak by beating the Pistons. Eight more games left to tank in order to secure a top 8 lottery pick in the NBA draft. I wonder if JD will be around to pick the player? i dont mind joe d drafting a pick he’s decent (except for that darko pick). His problem is he falls in love with allen iverson, josh smith and can’t wait to put these losers on our team. Draft will be fine either way I’m sure, and he’ll be gone before he can do any more damage to our roster. Dre made it to Madison Square Garden for the U Conn win over MSU. They showed him celebrating with some of his old team mates after the game. lebron james dominated the pistons after the badboys celebrate at the half time show??? without ray allen and mario chalmers??? 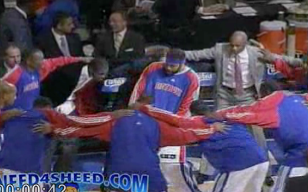 Even in a win Josh Smith annoys the hell out of me. How dare you celebrate after a drunk and then celebrate a 3 with a goose against absolutely worst team in the NBA? There is no cause to celebrate here, good grief. Josh Smith almost done it. I hate him almost as much as Allen Iverson. We have three more years of Josh, so I would be not be too surprised if Josh Smith ended up on most hated Piston all time list. I realize now that the Pistons DID 3-PEAT after seeing Laimbeer did NOT foul Jabbar from the 30 and 30 show. The Detroit Pistons .. WORLD CHAMPIONS .. 1988 .. 1989 … 1990 …. The “Phantom Foul” was devastating.